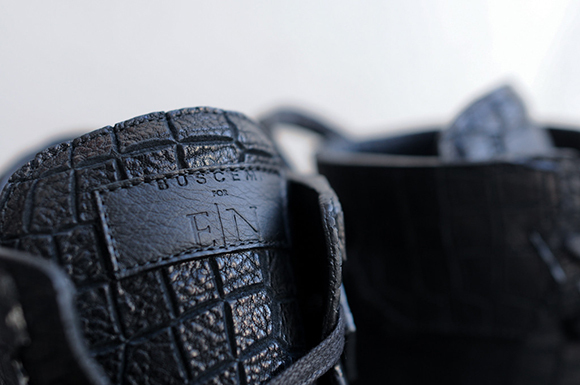 Buscemi and EN NOIR have joined forces and created a designer sneaker that could match up with the finest handmade products. 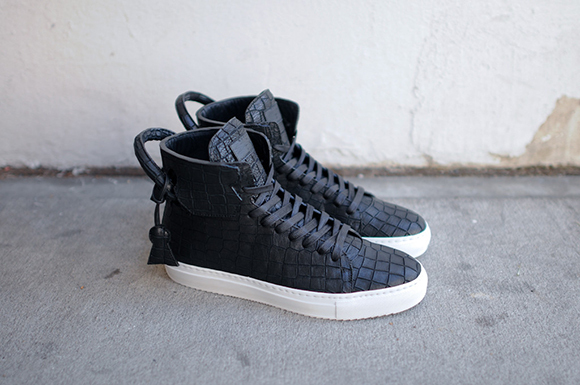 This “Black Croc” sneaker is covered in black Cavallo leather with the sliced, Croc-pattern throughout. 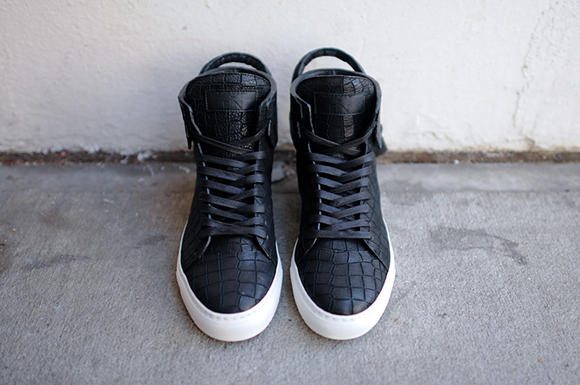 A rigid Margom white sole pulls the shoe together while a tassle hangs from the large panel covering the heel. 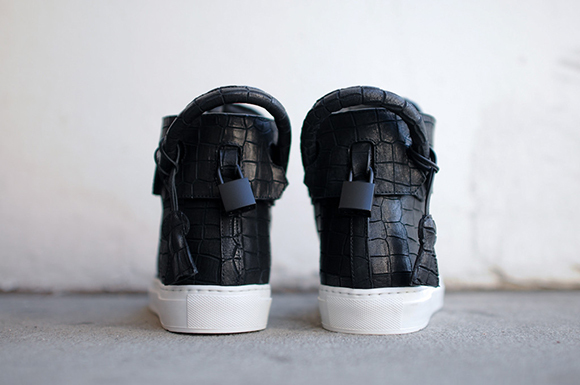 Black laces and a blacked-out tongue tag with “Busecmi for E N” cap off an amazing sneaker that is available now at Kith for $975(US). 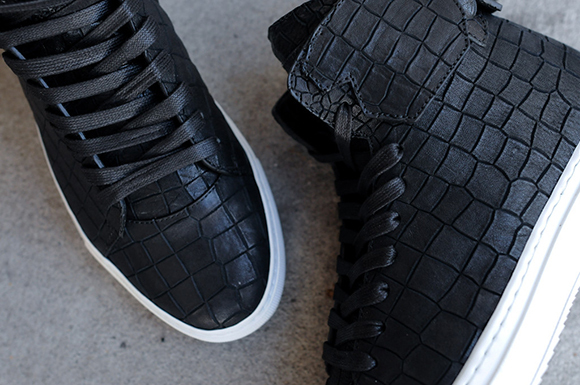 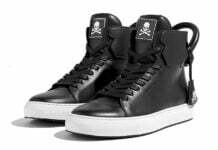 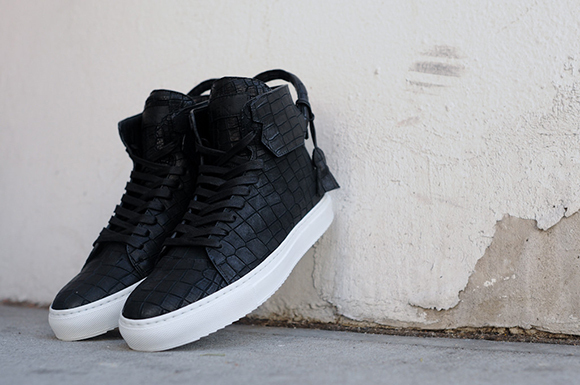 How do you feel about the 125 MM “Black Croc” Buscemi X EN NOIR sneaker? 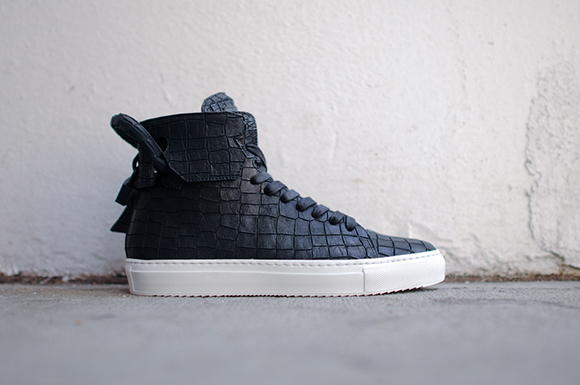 Tell us in the comments section below and stay tuned to Sneakerfiles for updates on sneakers and gear daily! 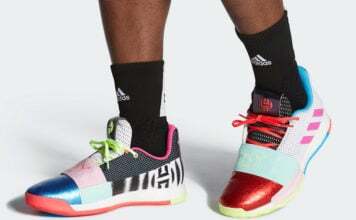 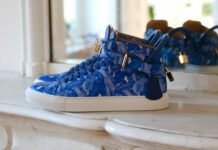 Which is better, the name or the shoe itself.